Can a mother forget her sucking child, that she could not have compassion on the son of her womb? Could she suffer a child of hers to die while she had power to keep it alive? Would she lay violent hands upon the child of her love and destroy it? God forbid. Neither will God destroy, or suffer to be destroyed, any one of his own dear children. Jesus has solemnly said — “I give unto my sheep eternal life, and they shall never perish, neither shall any pluck them out of my hand.” The fairest children of the earth will die, for that which is born of the flesh is flesh, and all flesh is as decaying grass; but the feeblest child of God will live for ever, for the life of God in every degree of it is immortality. From a sermon by Charles Haddon Spurgeon entitled "Faith's Ultimatum," delivered July 18, 1875. 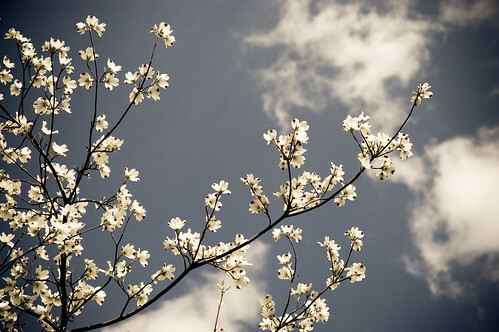 Image by Heather Katsoulis on Flickr under Creative Commons License.